I don’t know why I’ve been obsessed with DIY bracelets lately. Maybe because they are so versatile? This simple bracelet can easily be made custom with more colors, different beads, or different charms. 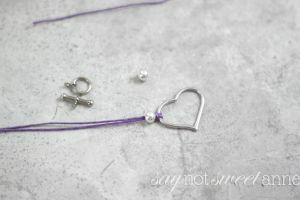 They can be big and chunky like these DIY Strappy bracelets, or sleek and simple like these simple DIY bracelets. All in all, these take less than 10 minutes, and less than 5 once you get the hang of it. 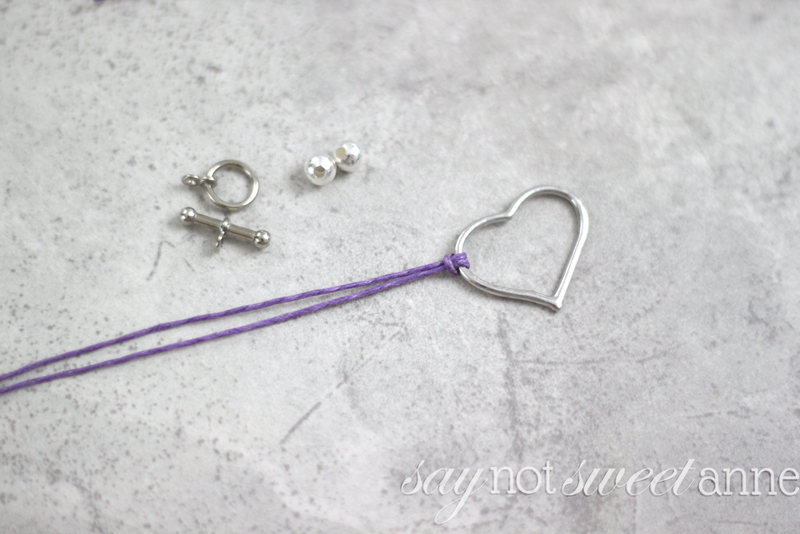 They are easy enough for a kid’s party, and pretty enough to give as gifts. Begin by measuring your wrist. 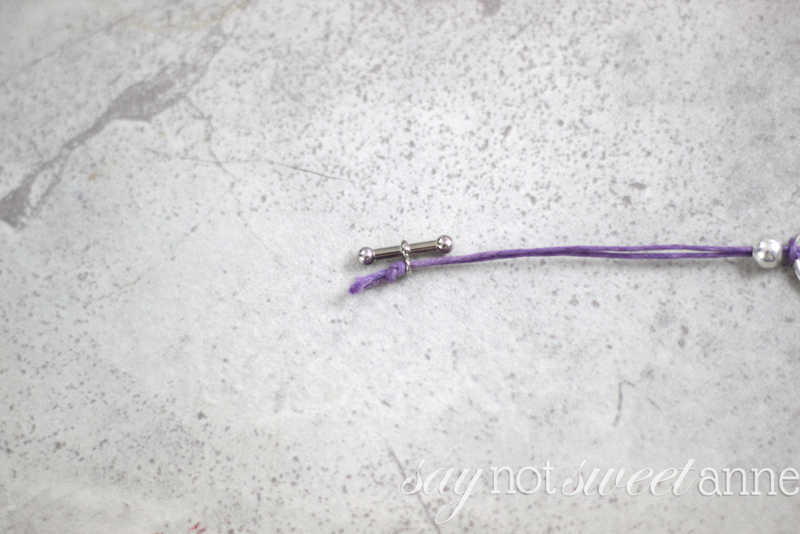 There’s nothing more frustrating than making a beautiful bracelet and end up with something too big or too small. Measure the width of your center charm. 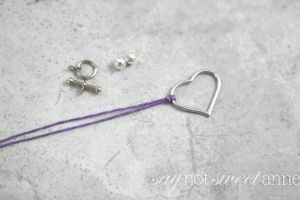 Because of the way that the bracelet is made, the charm makes up part of the total bracelet length. 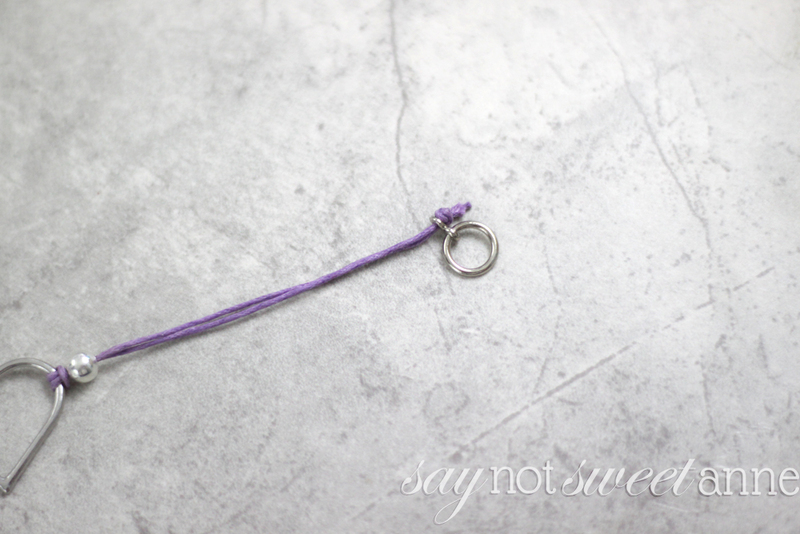 Take your wrist number, subtract your charm number, and add 1/2 inch for knots/loops. This is your string length. Write this down. 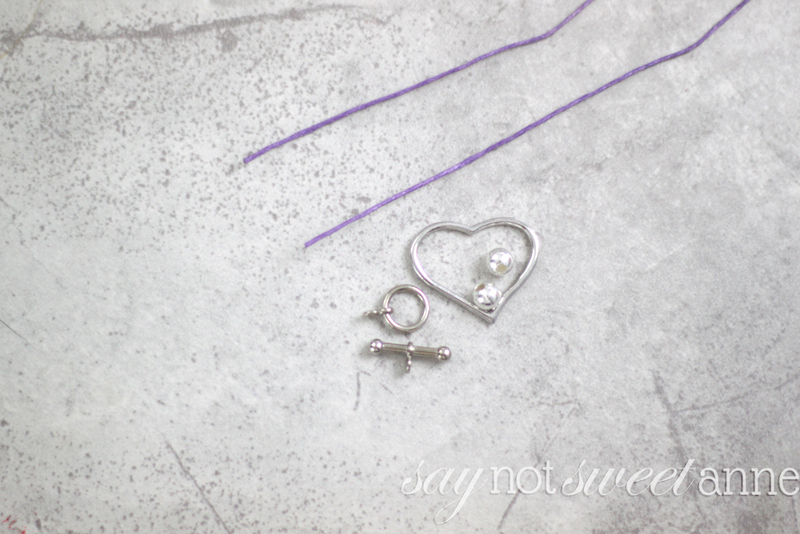 Cut two pieces of string the length you determined earlier. Loop them on either side of the charm and be careful to make sure that the loops face the same way. 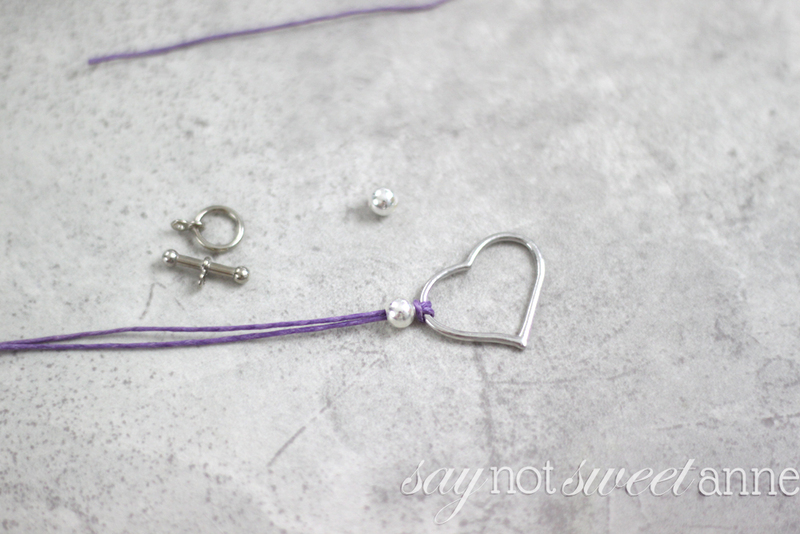 Drop a bead or two on the line to add a bit more sparkle. Add your claps elements on the end of each string and tie a knot to secure. Done! 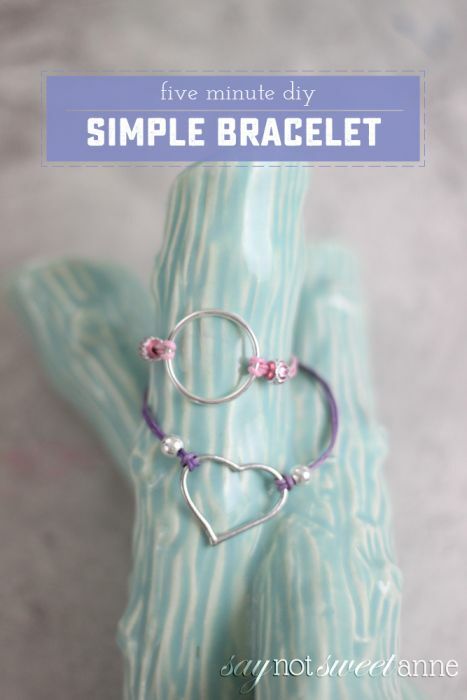 Your first simple bracelet is complete! This is so dainty and pretty! I love it! I actually have a charm from a broken necklace that would be perfect for this project! Thanks Krista! I LOVE when I can save a piece that is special to me by repurposing it. Great thought!